DSII is a dynamic and innovative company specializing in the design and manufacture of sophisticated automated test and measurement systems. DSII's test and measurement systems are used by leading companies, governments and defense industries, to provide data security for classified and other secured data processing, computer and computer networks, modems, facsimile machines, etc. The DSI 600 EMI Test Measurement Receiver System is a step into the future of fully compliant test capabilities integrated into a powerful receiver technology coupled with the computational strength of the on board computer which facilitates high speed data acquisition, an enhanced spectral display module, and SCPI interoperability interface all complemented by DSII’s EMIT software. 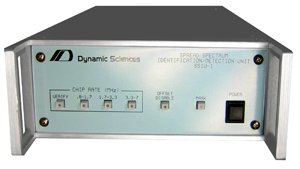 IF/RF spectrum analysis & time domain capabilities provide an all-in-one multi-functional resource rapidly and accurately providing consolidated concise test results and reports. Pre-Amplification - Good or Bad? The DSI-110 integrates either the R-110 or R-110B Receiver with a sophisticated data acquisition and measurement software package and off-the-shelf computer hardware to yield a powerful and versatile RF measurement and reporting system. The DSI-110 is ideally suited to a wide variety of signal measurement tasks in either laboratory or field environments, including EMI/EMC testing, RF instrumentation, spectrum surveillance, and remote signal monitoring. The R-110 and R-110B receivers cover a wide frequency range (1 kHz to 1 GHz), permitting LF through UHF detection with a single receiver. Both receivers feature excellent noise figure and dynamic range characteristics, spur-free operation, and a large number of bandwidths to facilitate signal capture in the presence of high ambient noise. 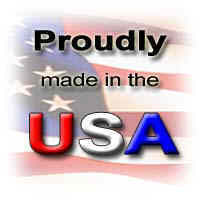 The system software operates in the Windows 3.1x environment; it is exceptionally flexible and easy to learn and use. The software is mature and is compatible with fixed and removable-cartridge disk drives, printers, plotters, and other peripherals. Various ancillary software routines are available which tailor the system to particular applications, such as frequency management and spectrum surveillance. The R-110 and R-110B receivers are designed to facilitate expansion, and both accept plug-in modules to enhance their inherent capabilities. The R-110B is fully augmented with wide-bandwidths, FM demodulator, pulse-stretch and slideback, DVM display, and bandwidths in a 1:2:5 sequence. Ancillary units provide panoramic display, frequency extension to 100 Hz and 18 GHz, and calibration with impulse and comb generators. The R-110-40A Pan Display provides a visual presentation of the receiver input frequency spectrum. The unit features a large, easily viewed screen and an all analog implementation to minimize electrical interference. The R-150 receiver is a light weight, low power portable receiver with exceptional sensitivity and very low noise. The R-150 tunes over a frequency range of 100 Hz to 1 GHz and includes 33 bandwidths from 50 Hz to 200 MHz in a modified 1:2:5 sequence. 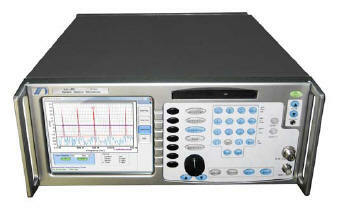 peak-reading DVM to measure video signal level and provide encoded data via the IEEE-488.2 bus. The receiver can also be supplied in a portable configuration that includes collapsible side handles and a folding stand. Ears are available for rack mounting. 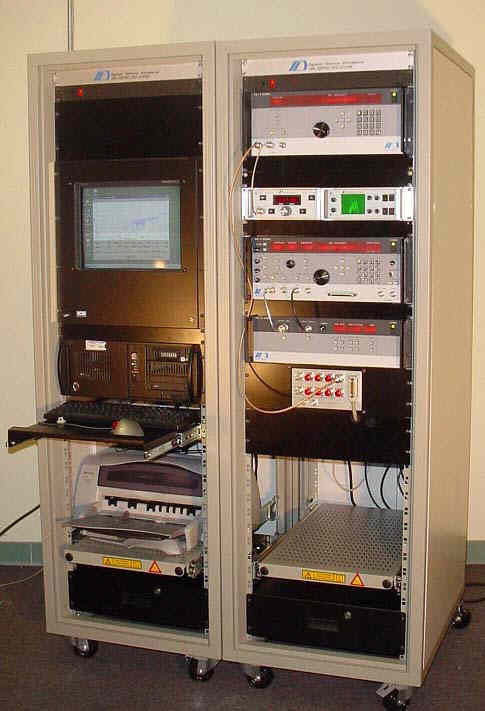 and a computer system for automated measurement and monitoring applications. SSIU-1 Spread Spectrum Identification/Detection Unit works in conjunction with the R-110B Wide Range Receiver to detect and characterize a variety of spread spectrum and digital communication emanations at negative received signal-to-noise ratios. 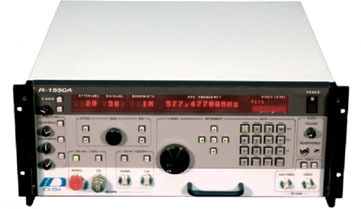 The SSIU-1 utilizes a proprietary analog signal processor to perform the detection function, and the outputs of the unit may be displayed with any RF spectrum analyzer. The R-1550B TEMPEST Receiver includes everything you need to operate from a frequency range of 100 Hz to 2 GHz. With options, the frequency range may be extended as low as 20 Hz or as high as 40 GHz. The DSI-1550B TEMPEST Test Receiver is a PC based automated receiving system that permits precision measurements, test and analysis associated with surveillance. TEMPEST or EMI/EMC. The operation provides the user with manual and automatic receiver functions, and user friendly software that gives the user straight forward access to control sophisticated data reduction algorithms and displays. The standard DSI-1550B configuration,that Dynamic Sciences offers is an extensive library of software and hardware accessories that will allow tailoring of a system to specific applications. keypad with up to seven digit resolution. AM/FM Detector Switch: It automatically selects audio source. Gain controls are provided for headphone use. Auxiliary Video Output: For Z-axis display; provides a direct connection for video monitoring use. Low Noise Figure: The nominal noise figure is 6 dB. The noise floor in a 100 Hz bandwidth is -41 dB&#956V. The noise floor in a 10 kHz bandwidth is -21 dB&#956V. There is 80 dB image rejection over the entire frequency range. The noise floor will improve by at least 6 dB&#956V when the R-1550A Receiver is configured in the DSI-1550B TEMPEST Test System. and the tuned frequency. Filter values are 200 MHz Low Pass, 200-350 MHz, 350-550 MHz, 550-750 MHz, 750-1000 MHz, 1100 MHz Low Pass, 1.0 GHz-1.3 GHz, 1.3 GHz-1.6 GHz, and 1.6 GHz-2.0 GHz. 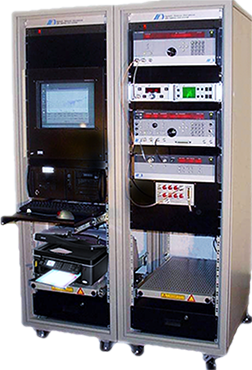 The DSI-1550B is a PC based automated receiving system that permits precision measurement, test and analysis associated with surveillance, TEMPEST or EMI/EMC. Complete manual and automatic receiver operation is provided, and user friendly software allows straightforward access to and control of a suite of sophisticated data reduction algorithms and displays. In addition to the standard DSI-1550 configuration, Dynamic Sciences offers an extensive library of software and hardware accessories that will allow tailoring of a system to specific applications. +/-2 dB over the entire measurement range of the receiver down to signals at or near thermal noise (Johnson White Noise). Meets the requirements for automated testing to NACSIM 5100A and MIL-STD 461A,B,C,&D. Measurement certainty is verified before and after every sweep using built-in calibration sources. Separate low frequency and high frequency impulse calibration sources provided. Five separate input ports are provided for each of the low and high frequency section of the receiver for automatic selection of multiple antennas or probes. Trigger input allows triggering of the data acquisition to some external event.